NOTE: Oregon Flag price is $83.90 and Washington Flag is $82.90. 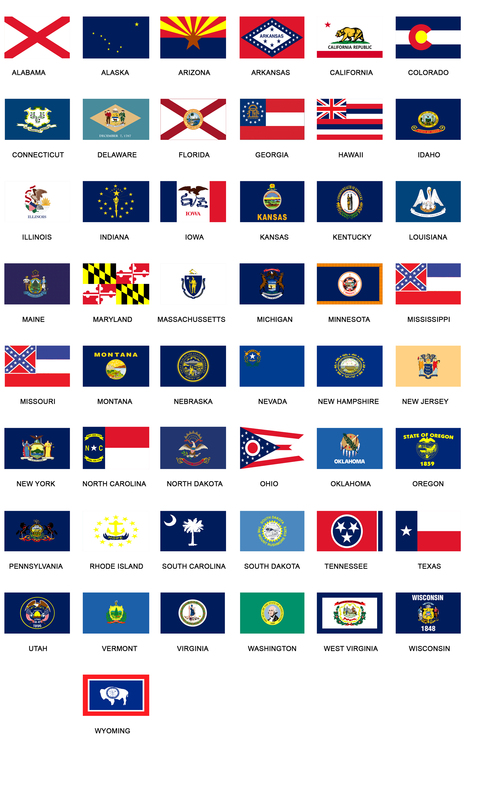 The Individual State Flags of the United States are made from a Nylon material that out performs all others. It has the best resistance to damaging ultraviolet radiation, a dense 200 Denier Nylon weave, the longest lasting Nylon flag material available, flies in the lightest breeze, and provides the brightest colors for the best appearance. This flag is suitable for residential or commercial use. Made in the USA.